workplace? 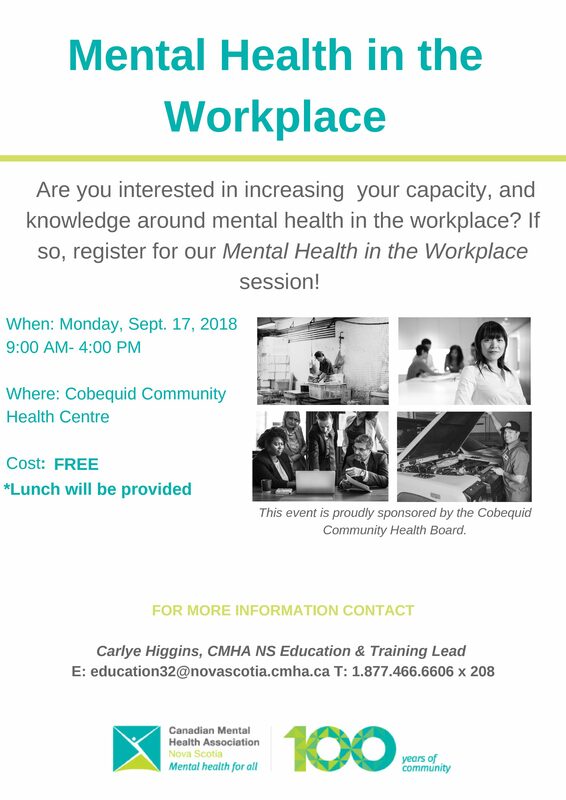 If so, register for our Mental Health in the Workplace session! This free event is proudly sponsored by the Cobequid Community Health Board.